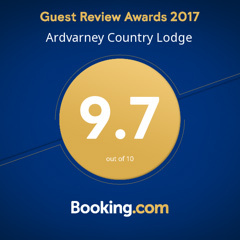 Ardvarney Country Lodge is situated in an ideal setting for peaceful relaxation and holistic health & healing. Carin is a Tera Mai Reiki Master, Hot Stone (sports) Masseuse and is qualified in Shiatsu massage, foot reflexology, aromatherapy, and meditation/relaxation. She can train guests in Level 1 and level 2 Tera Mai Reiki practice. Wilfed is a Neuro Linguistic Programming (NLP) Practitioner and business coach. In addition, local experts included in our network can provide sessions in Theta Healing and more. We also offer spiritual and meditation sessions and retreats. Holistic comes from the Greek word ‘Holos’ meaning ‘complete’. The holistic approach acknowledges the fact that tension in one area of the body can domino into many other areas, and so it aims to treat the entire person and their overall energy, rather than addressing the individual complaint alone. Tera Mai Reiki and Stone Massage both support this energy-led approach, based on the belief that ‘everything in this universe is energy’. A professional Hot Stone massage relaxes and stimulates the muscles, promotes circulation, and calms the nervous system. This in turn stimulates the flow of lymph via stretching of the joints. Holistic Hot Stone Massage also benefits the body’s chakras. Massage relieves mental stress and anxiety, and helps you to to be more aware of your body as a whole. By identifying and addressing your body’s tensions, you can restore its balance, develop a more positive self-image, and take charge of your own health and wellbeing. By placing the hands on or near the body, a Tera Mai Reiki healer can encourage your body’s flow of energy. The receiver sits on a chair or lies on a plinth, and the practitioner places his or her hands on or over a series of key locations on the body. The Reiki process is thought of as ‘laying on of hands’ or ’spiritual healing’. This can help alleviate suffering of a physical, emotional, mental, or spiritual nature. While Reiki is not a guaranteed cure, in most cases it enhances the effects of medical treatment when used in conjunction. A key principle of Reiki is that it can do no harm and can’t be used for any harmful purpose. The idea is to become aware of one’s own body, and to develop a sense of oneself as a whole entity. Learn Tera Mai Reiki levels 1 and 2 with Carin, a Tera Mai Reiki Master. Study the body’s flow of energy and learn the key locations used in this powerful healing process. You’ll be fully taught in the laying on of hands, and how to alleviate the mental, physical, emotional, or spiritual suffering of others. Learn to harness this amazing energy and practice it yourself on friends and family. A key principle of Reiki is that it can do no harm and can’t be used for any harmful purpose. The idea is to become aware of one’s own body, and to develop a sense of oneself as a whole entity.